What a weekend it’s been in the world of combat sports. Between professional and World Cup wrestling, competitive grappling, and MMA action, there was something going on for everyone. UFC 223 was perhaps the biggest event of the weekend, and after everything that occurred leading up to the fight card, the UFC needs to go back and lick its wounds. However, even though the event could hardly be considered a full success, it would be incorrect to look at this weekend's event as a complete loss. First, there’s Khabib Nurmagomedov. 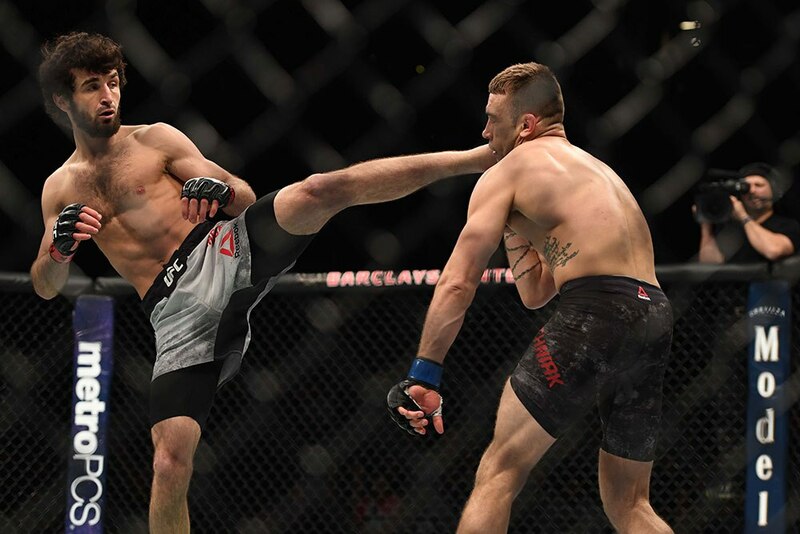 He walked out of the Octagon as the lightweight champion, and while we're still unsure whether he’s the only 155-pound champion, he’s finally gotten his hands on the belt that’s long been out of his reach. That belt puts him in the driver’s seat when it comes to what’s next in his career. Whether that’s a bout with Conor McGregor, Tony Ferguson, or even Georges St. Pierre, the fact that there are multiple money-generating options for him is a step in a positive direction. Yes, there’s still the big question about McGregor. Now that a few days have passed since his disgusting actions, one must wonder if there’s an opportunity for the UFC to leverage this in a positive way, and the answer to that question is yes. Ron Artest, Michael Vick, Roger Clemens, and countless other examples exist of athletes who’ve fallen from grace and rebuilt themselves for the paying public. McGregor has never been one to display a remorseful attitude, but when there are pending jail charges he has to change something before his situation goes too far off the rails. Everyone likes to talk about Jon Jones as the biggest waste of talent ever seen in the sport. However, if McGregor continues down this path he could quickly surpass the former light heavyweight champion. Then there’s Rose Namajunas. The UFC Strawweight Champion had a very close fight against Joanna Jedrzejczyk and even though most observers didn’t agree with the 49-46 scorecard, they acknowledge that "Thug Rose" found a way to pass an extremely tough test. Keeping that title belt around Namajunas'waist is important for the development of the 115-pound division. In a world where people often complain about aspects of the champions in the UFC, there’s nothing bad to be said about Namajunas. The way she fights, her radiant personality outside of the cage, and her message of positivity is exactly what the organization needs at this time. While there are other champions the UFC could promote in a fan-friendly way, something always occurs that stops any momentum -- not the case for Namajunas. She is a breath of fresh air that the organization needs at this point in time. Beyond these two champions, Zabit Magomedsharipov and Renato Carneiro stood out as two prospects that fans should keep a close eye on. In time we could be talking about these two becoming title contenders at 145 pounds, and it’s important that the promotion books them in such a fashion. There isn’t a need to rush either of these men forward, and at UFC 223 they did their respective parts by delivering in the Octagon. UFC 223 was a wild ride before the lights in the Barclays Center were even turned on. 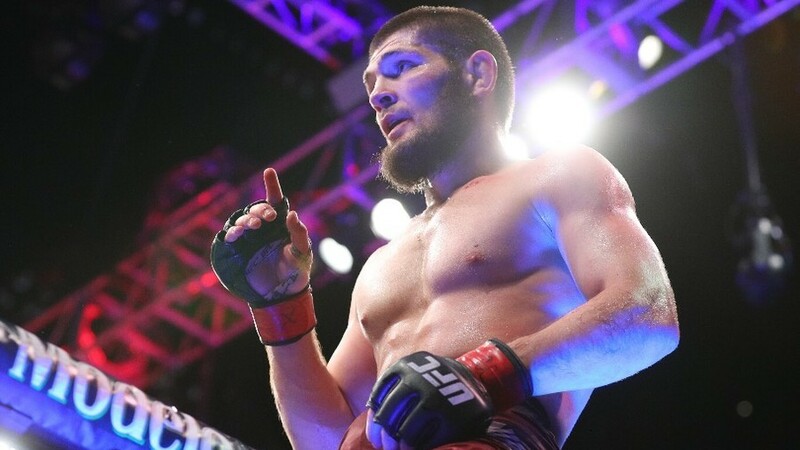 While fans will find something to complain about from this event, there are some positives to take away in Khabib Nurmagomedov, Rose Namajunas, Zabit Magomedsharipov, and Renato Carneiro. UFC 223: Khabib vs. Iaquinta (formerly UFC 223: Ferguson vs. Khabib, UFC 223: Khabib vs. Holloway) took place April 7, 2018 at Barclays Center in Brooklyn, New York.